WASHINGTON — With less than four months remaining in the competition, two of the remaining teams in the Google Lunar X Prize are seeking to raise tens of millions of dollars to complete their spacecraft. In a Nov. 29 statement, Israeli team SpaceIL said it needed to raise $20 million by the end of the year, from both the public as well as the Israeli government, or else it would be forced to cancel the entire mission. The total SpaceIL needs to raise is $30 million, Privman said in the statement. Morris Kahn, a former chairman of the board of SpaceIL who has previously contributed $18 million to the project, said he will provide $10 million if the team can raise the other $20 million. SpaceIL, a non-profit organization, has relied on a philanthropic model to fund its entry into the competition. SpaceIL has raised $55 million to date, including contributions by Kahn as well as the Miriam and Sheldon Adelson Foundation. The organization has sought to develop a lunar lander as part of an educational outreach effort to encourage the country’s students to pursue careers in science and engineering. 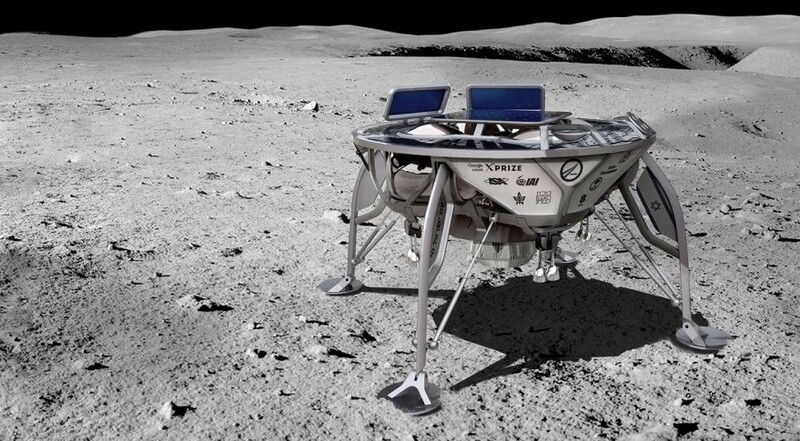 However, SpaceIL and the four other finalists in the Google Lunar X Prize competition have only a few months left to send their spacecraft to the moon in order to win the $20 million grand prize. The competition has set a deadline of March 31, 2018, for teams to complete their missions, which includes landing on the moon, traveling at least 500 meters across its surface, and returning high-resolution video and other data. SpaceIL is not the only team making a last-ditch fundraising effort. An Indian team, Team Indus, is reportedly seeking to raise $35 million — half the mission’s total cost — to cover its final development and launch costs. A team official told the Indian newspaper The Hindu Dec. 4 that it would start a crowdfunding effort “in the next couple of weeks,” along with sponsorship and other efforts, to raise that funding. Team Indus plans to launch its lander, which will carry a rover for another team, Japan’s Team Hakuto, on an Indian Polar Satellite Launch Vehicle. That rocket’s return to flight from an August launch failure has been delayed until early January, and the team has not specified where in the queue of missions they are after that launch. Complicating matters are plans by India’s space agency, ISRO, to launch its own lunar orbiter and lander mission, Chandrayaan-2, in March 2018 on a Geosynchronous Satellite Launch Vehicle. Team Hakuto, run by Japanese space resources company ispace, has completed its rover and does not require additional funding. Moon Express, a U.S. company that is also a finalist, said earlier this year a $20 million funding round gave the company enough money to complete and launch its entry in the competition. Moon Express has not announced a launch date for that lander, which will fly on Rocket Lab’s Electron rocket. That rocket will make a second test flight as soon as Dec. 7 from the company’s New Zealand launch site, and if successful will be ready to enter commercial service. Moon Express, which plans a series of commercial lunar landers in the next several years, has more recently downplayed the importance of winning the prize. The company states on its website that on its first mission “we will attempt to win the $20M Google Lunar XPRIZE, if available,” but only after completing operations for paying customers on that mission. The fifth finalist in the competition, Synergy Moon, has released few details about the status of its funding efforts, development of its lander or the untried launch vehicle it intends to use to launch the mission.